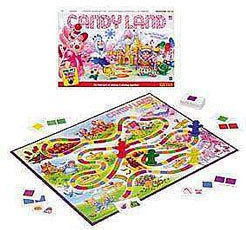 Size (inches): 16.06" X 10.75" X 1.50"
Every child's first game, CANDY LAND is a colorful way for a preschooler to experience the joy of game play. The game teaches color recognition and matching while reinforcing the lesson of taking turns and being a gracious winner or loser. You will love to see the smile on a young person's face as they travel through CANDY LAND.